Screenshot of the CNN web article from November 30 claiming US Marines train on Norway's border to Russia. The headline was changed a day after. CNN draws fire from Norwegian Army and Moscow’s RT news network for misleading headline. The story spread like wildfire. Same reporter, same story, two very different locations. All twisted up in a headline that, if true, would have changed the security landscape in northern Europe. Reporter Nick Paton Walsh followed an exercise in Bardufoss, northern Norway, where American soldiers played war game with tanks and other weaponry. Without telling in the story, he then took the plane to Kirkenes, Norway’s border town in the northeast where the film crew followed a couple of Norwegian border guards along the border to Russia. Fact: Norway’s border to Russia is 800 kilometers northeast from Bardufoss, if you take the shortcut through Finland. Or same distance as from New York to Toronto. When CNN published the story, spokesperson for the Norwegian Army Lt Col Ole Johan Skogmo got a busy day. Newsrooms from around the world started to call. “Yes, we had some pressure from international media,” Skogmo tells to the Barents Observer. Having American soldiers exercising in eastern Finnmark is an unthinkable situation for Norway. To keep tensions from getting too high during the Cold War, Norway declared more than 50 years ago that no NATO exercises would take place anywhere near to the Russian border. The story was published at 10.11 GMT on November 30. When the Barents Observer checked the portal around noon Norwegian time, the misleading headline was still top story. Lt Col Skogmo says CNN’s reporter was contacted 06.30 in morning to get the headline changed. At 12.12 GMT on December 1st, CNN took action and updated the story with a new headline. 30 hours after first published. The news, however, had then spread like wildfire. 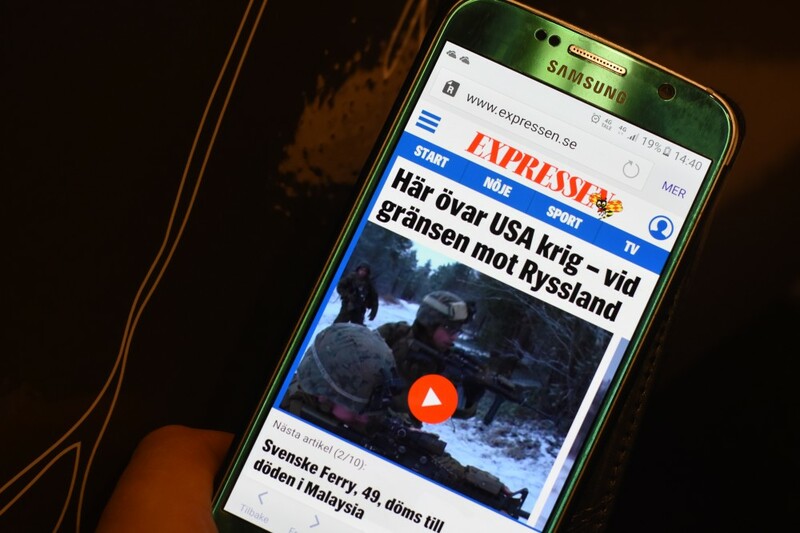 Sweden’s second largest tabloid newspaper Expressen published an article headlined “Here is the US practicing war – on the border to Russia.” Pointing to the northeasternmost Norway, neither Expressen says Bardufoss is a minimum 10 hour drive the Russian border. And far slower if driving a tank. Lt Col Ole Johan Skogmo says the problem with media today is that they are quoting each other without checking facts. “We contact them and ask for correction, but articles have then already been online for some time,” Skogmo says. 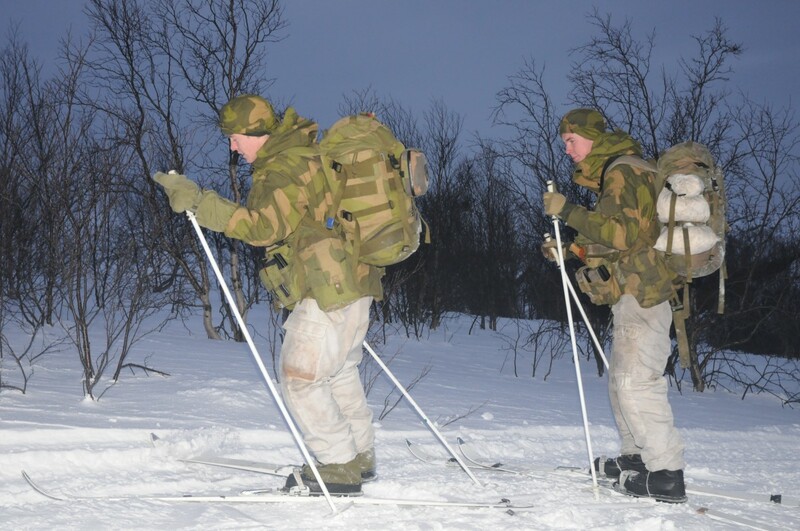 The Norwegian Army spokesman is, however, sure that the Russian military is aware that there are no US Marines exercising on Norway’s border in the northeast. Ivor Crotty is Head of Social media with RT, the multilingual television network funded by the Russian Government and frequently being called a propaganda outlet for Kremlin. He says to the Barents Observer that the CNN story clearly shows this is a two-way problem in a tenser geopolitical world. “Many news organizations in the West claim that Russian media presents fake news and misleading information. The moral-panic around so-called fake news is like the war on terror and can never be resolved. CNN’s cartographic cretinism is well known and I’ve grown to expect such from the network. But its important to acknowledge this is also a symptom of a legacy industry utterly challenged by the internet,’ Ivor Crotty says. 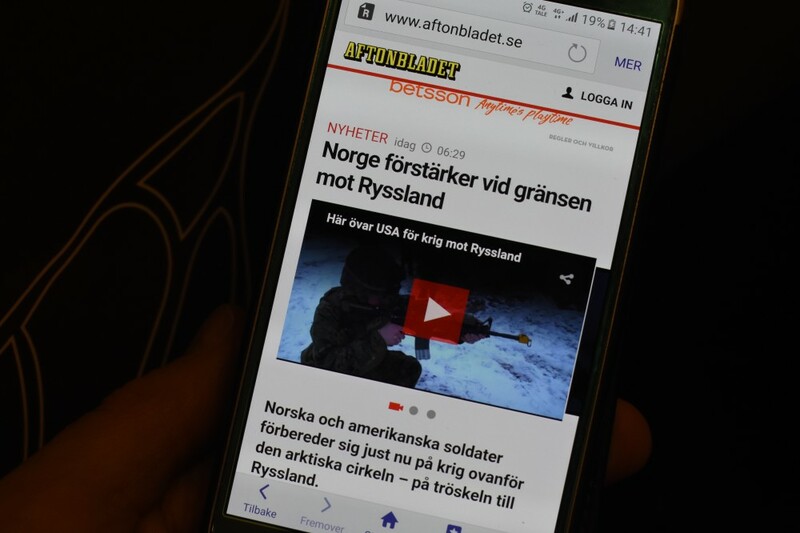 The newspaper’s video-story is, however, not changed and the Swedish speaking voice-over still claims American soldiers are exercising with Norwegian soldiers in Kirkenes simultaneously as the screening shows a tank crushes through forest in Bardufoss. A note in the end of the updated articles informs the readers that the exercise takes place near Bardufoss further west. “The journalists in question should now take a walk from Bardufoss to the Russian border,” says Lars Gyllenhaal, a Swedish author on military history. Living in Piteå, Gyllenhaal is a leading expert on Nordic-Russian security relations in the north. “I believe the faulty reports are simply a result of sloppy journalism in combination with lack of knowledge about geography,” Lars Gyllenhaal says. 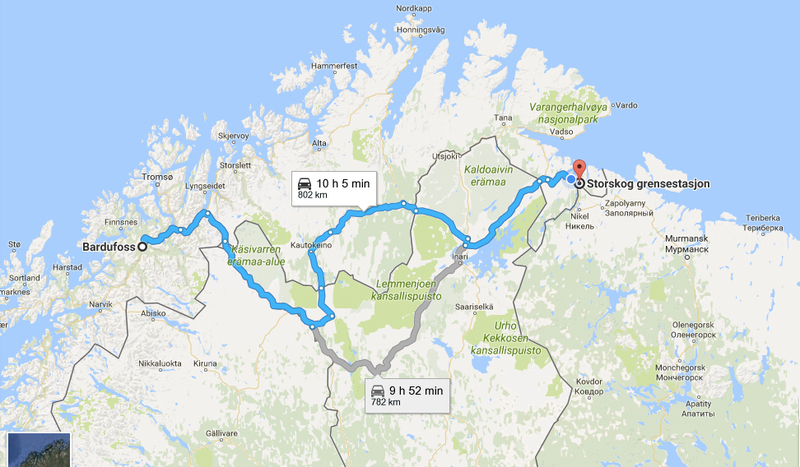 The 800 kilometers from Bardufoss to the Russian border equals the distance from Stockholm to Skellefteå in northern Sweden. Or one and a half time the distance from the Swedish capital to Oslo in Norway. “It is telling how the Stockholm media even couldn’t remember the standard Swedish word for Arctic Circle – Polcirkeln. They basically just made a rewrite of a misleading CNN report,” Lars Gyllenhaal says. It is Aftonbladet’s video-report that names the Arctic Circle as “Arktiska cirkeln” in the Swedish voice-over.